Travelling from overseas for surgery can be daunting. Patient Care Coordinator Deanna was not only incredibly proactive and responsive, she was incredibly reassuring, helping to walk through details in advance and address any queries or concerns. The surgical nurses were professional, kind and also reassuring, helping to explain the pre-op, surgery and post-op processes thoroughly so I had no misgivings as to what to expect. Dr. Amron corrected nasty disfiguration caused by poorly executed liposculpture surgery 4 years ago. I was up and about after just 24 hours and while initially sore to touch, showed no visible surface bruising. You’re supposed to see 80% of results 6 months or more after the surgery. In my case, I saw an immediate difference. I would highly recommend Dr. Amron and the staff at Spalding Plastic Surgery. I went to Dr. Amron last year after researching extensively to find the best surgeon for revision liposuction. I had liposuction several years ago by an extremely well respected plastic surgeon that left me with deformities on my inner and outer thighs. I had seen several surgeons after that for consultations to correct the deformities. None left me with a sense of great confidence. In the consultation with Dr. Amron he very thoroughly went through the approach he would use to improve the contour of my legs. The previous surgery had been done too aggressively and left me with a strange shape to my legs. Dr. Amron’s approach to correction involved re-contouring the entire leg as there was too much fullness in the front of my thighs and knees. In addition I was stripped of fat in my outer and inner thighs so his plan was to graft fat into the hollow areas. The surgery was about two hours during which I was awake, as he explained it was very important for me to be able to move around during the surgery. It really was not painful in the least. I was instructed to take a two mile walk the day after surgery and felt surprisingly good, much better than when I had it done before under general anesthesia. I pretty much right away noticed a much improved shape to my legs. It’s now been over a year and my legs look so much better and more natural. I was extremely happy with the results and my choice of surgeon. He is amazing!!! I had liposuction done years ago, and that doctor had ruined my body. Long story short, he no longer has his practice, but I was stuck with his mistake. I tried getting it fixed but most doctors told me that it will never be the way it was. It’s not something I could ever get used to. 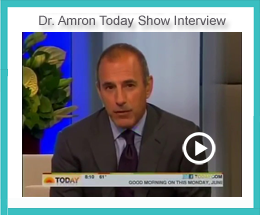 Then I saw Dr. Amron on the Today Show and decided to look him up. He is not only an expert in his field but he has a proven track record of fixing botched liposuctions. I decided to give it one last try and he has surpassed all of my expectations. He was very knowledgeable and honest. He explained in detail what he can do and what results to expect. He didn’t give up on me but he was also realistic. After I had completely healed I am finally happy with my body. He is the best in the field. He did what others told me was impossible. Thank you for giving me my life back! Dr. Amron performed a revision liposuction surgery few months ago and I am glad I entrusted him to do it. Everything has healed at rapid speed and I look exactly how he told me I will. I love my new body! 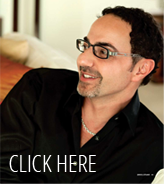 Dr. Amron made the entire process as easy and comfortable as possible. He was very caring and pleasant to talk to. Dr. Amron is simply the BEST in his field !!! I have been going to see Dr. David Amron for over ten years and have nothing but fabulous results ! His dedication to his work is obvious even if he is just performing a simple skin cancer check. He performed liposuction on me several years ago and I could not be more pleased with his explanation of the process and the results were amazing! He is so passionate about this subject and his theory of being awake and being able to flex and position me made my result that much better. I had had some bad lipo 20 years before and, trust me as a 54 yr old woman, you want a lipo genius so you do not end up overdone or with sagging skin. He is very concerned about all issues at hand. He also preformed “fat grafting” at the same time, so he used my own fat that was sucked out, cleaned it and filled my lower face where I had lost much volume due to aging. 6 years later it is still there and I look years younger than I did before his magic of fat grafting. I cannot say enough great things about Dr. Amron and the lovely staff at the Spalding Drive office.